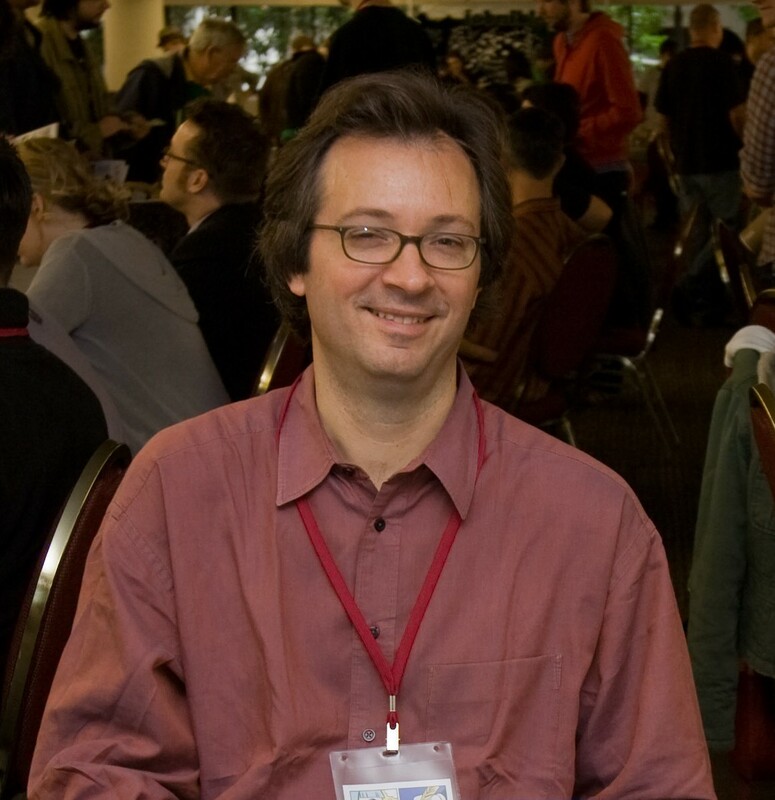 I went to see Ted Rall speak at the Eugene Public Library the other day. He was promoting his new book, The Anti-American Manifesto. Rall is an editorial cartoonist, a sometime war correspondent and President of the Association of American Editorial Cartoonists. He started off by showing some of his cartoons. This was nice, except that he insisted on standing in front of the screen. Then he asked each person in the audience to think of two things: what could the government help with, and what was the most important global problem. He then asked a number people what they had come up with. The most common answers were health care and the environment. He then asked that those people who believed that the government would address these issues to raise their hands. Out of an audience of roughly a hundred people, three raised their hands. He then said that people in Eugene are more cynical than people in New York are. He then pointed out that revolutions always occur when a reformer is in power. The examples he cited were Louis XVI in France and Nicholas II in Russia. (Nicholas wasn’t really a reformer. It would have been more accurate if he had said Kerensky.) He then said that Obama is about as progressive a president as we’re likely to ever get. The only way we’re going to get real change is through revolution. Rall seemed somewhat ambivalent about this. He admitted that both the French and Russian revolutions were bloody, but he argued that France and Russia are better off today because they happened. Rall believes there could be a revolution in the U.S. He claimed that 88% of eligible voters don’t vote. (Is this true? I will have to look this up.) He refused to speculate, however, on how this would come about. He said we should not become preoccupied with “the next step”. He said he refuses to put a forward a political program, because that would be “divisive”. Maybe so, but how do we move forward without knowing what the next step should be? It seems to me that he needs to think this through more. Nevertheless, I find it significant that a mainstream media figure like Rall is actually talking about revolution. This entry was posted on October 9, 2010 at 6:13 am and is filed under Anti-Capitalism, Media. You can follow any responses to this entry through the RSS 2.0 feed. You can leave a response, or trackback from your own site.